I was thinking that laser cutting a flat sheet of Xmm steel to the right profile, with a cut width the same as the new frame thickness, would give a neat sandwich to allow a piece of narrow steel to be clamped between the 2 pieces and then bludgeoned over with a delicate BFH. Are you sure it is made from 3mm steel? Sounds a little thick. Thanks for the reply. Well, well you were right to query my thickness measurement because the actual measurement is 1.5mm. I had to brush up my micrometer reading skills. Definitely 1.5mm. No possibility of getting the "U" section for profiling job. Although flat plate might be better to ensure the profile is then spot on. Let me know the progress. Cheers. Thinking as one does. Perhaps a better alternative solution would be to take a very good condition quarter light frame (of same profile) from a later model and transfer over to it both swivel pins and the half moon catch. This would involve some detailed drilling of the donor frame, welding up of unwanted holes/ openings and then spot welding of the transferred components. This method might be less challenging and time consuming than the one mentioned previously. Possible alternative method? Do you see any drawbacks? Finding a decent one would be the biggest issue. I can make the Lowlight pivot pins etc but if the frame piece is corroded then it takes more effort to repair than to make a new one. I looked into to doing this to a stainless assembly but decided that for me it wasn't worth the effort. Hi Rob, Greetings and getting back to the topic of MM quarter lights. 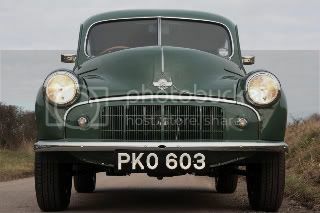 I still require a replacement passenger side quarter light for my 1949 Lowlight and welcome any new leads. Plus there are a few ongoing issues previously touched on as outlined below. After discussion with the specialist chrome platers the half moon catches are cast and need to chrome plated separated from the steel frames. This means removing the catches, probably making new pins and then the task of attaching the pin to the frame. Would you know of anyone who might have the detailed drawings for the fixing pin (these will need to be manufactured) and then someone who might have the experience to replace the half moon catch and pin onto the newly chromed frames? Have you had any further inspirations about the source of the MM quarter light rubbers as we previously discussed. There's some interest in these and wondered if a batch manufacturing approach might be the way forward? Truly welcome any feedback Rob or from any readers with an interest in this matter. Many, many thanks. Do the pivot-pins at least (holding the swivel-catches) differ from the standard M1000 ones? I have a few of the pins, and I thought they are available still, and in a chromed condition....... Re-working an existing steel q'light frame sounds to me the most feasible way to go. Greetings. I've just been advised by the platers that now the drivers side quarter light is too far gone for chroming. Double drat. Every which way I turn I get smacked in the face. I notice during this post that you had found a painted drivers side quarter light. Just like the one in the picture of the tourer your posted way back. Do you still have this one available. Welcome your feedback. Regards..spike. PS will you still be available for the copper riveting work as we discussed earlier in another post? I'll have a look through the garage later in the week. Should still have one. Yes to the rivets but I don't have anything to make them from. Have a lathe, though. Currently unemployed so have some spare time! Hi Rob, Really welcome your reply. I will look forward to the results of your quarter light search. Regarding the copper rivets these can be found on ebay and come in from Hong Kong. However its crucial we purchase the correct type. I might be able to find them in UK and will search. I presume we can work with round head solid copper rivets for this job? I can find shank diameter 1/8 inch knurled or smooth as required (presume smooth). But I guess the length is important (although they can be trimmed as necessary) to suit the fixing/ application technique. Welcome your further comments and guidance even on the type of copper rivet preferred. One other things I omitted to mention is the lower swivel mounting block. This has gone missing at the platers. Presumed lost. Thanks. I have a rivet trimming tool here, anyway. Would you need the steel frame welded up or do you want the old holes left in for you to do? The bottom pivot is the same as the later ones, I assume? Hi Rob, Thanks once again for the feedback and we are slowly making some progress. The bottom pivot position is different to the later quarter light frames. An earlier photo attached to this post illustrates the dimensions. Ah, Yes. I forgot. I thought you meant the pin at the bottom of the frame. Duh! If you guys are looking for a copper rivet supplier, then I would suggest you try one of the model engineering suppliers first. That's how I buy mine and you can get them in affordable small quantities that way. Look what I found today whilst NOT looking for them. The rubbers can't be too far away. Just found 2 more of the little breakable brackets and 2 quaterlights. Still no bleedin' rubbers! Just look what you found. You are the man. I've been toiling for months and months and you actually have everything I need? That's brilliant and almost speechless. I think I need to pay you a visit. Can we sort something out? Both sets of quaterlight frames have rust holes right through. I still haven't found the later steel quaterlights (as per that Ebay link) that I thought could be adapted with a bit of welding-up and redrilling. Only these 2 in the pics have the curved handles on and I wondered if I could get them recast since there seems to be some demand. I've tried making one of the bottom clamps in ali but I think brass will be better so I can ditch the brass spacer that weakens the clamp. I'll be down at the metal shop hopefully one day this week. When I was working on my quarter lights I had taken the glass out planning to repair the metalwork and once painted the plan was to set the glass back in the frames using a neutral cure black silicone. The project never got completed as I found a pair of boxed nos units which I used instead! I do think the silicone would have worked well though. As to setting the new quarterlight glasses/panes in place with black silicone, I have had that done by the windscreen fitter on my last two M1000s, the 2nd one just last week. On both cars the technique worked well. While still wet, you clamp the window shut and ensure that any twists in the frame are dealt-with using additional chocks and tape, so that it then sets with a nice, flush fit top and bottom. Hard to find steel ones like this without rust on the outside. I've been looking for this little sod for months!